Who could imagine that the love life of a theoretical physicist would be the subject of a major feature film? It’s not an obvious idea until you say the magic words “Stephen Hawking”—and then, of course, it makes sense. The cosmologist who has attempted to unify relativity and quantum mechanics is more than a genius. Hawking is a cult figure, who beat the odds, refusing to die from ALS (amyotrophic lateral sclerosis), continuing to work for decades, while fathering children and, perhaps most importantly, writing the huge bestseller A Brief History of Time. What’s his life been like? 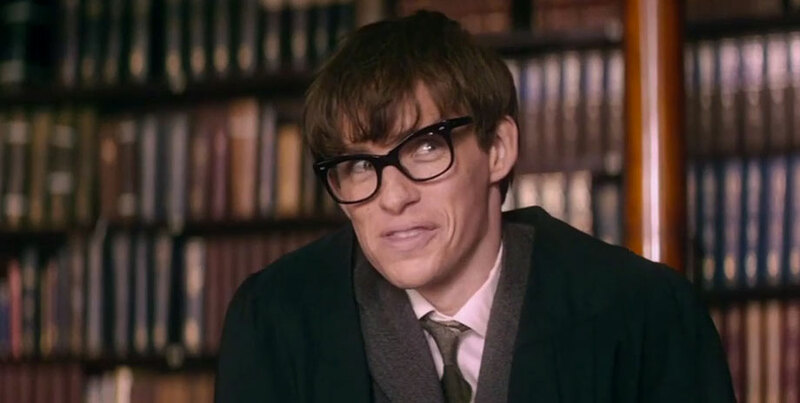 The Theory of Everything is a funny, moving bio-pic of the legendary Hawking. Based on the memoir of his first wife, Jane, the film shows Stephen fighting ALS while a student at Cambridge in the ‘60s—and triumphing, with a doctorate and a marriage and, soon, a child. As his body continues to deteriorate, Hawking’s career as a physicist takes off, with his theories and writings becoming renowned in scientific communities around the world. 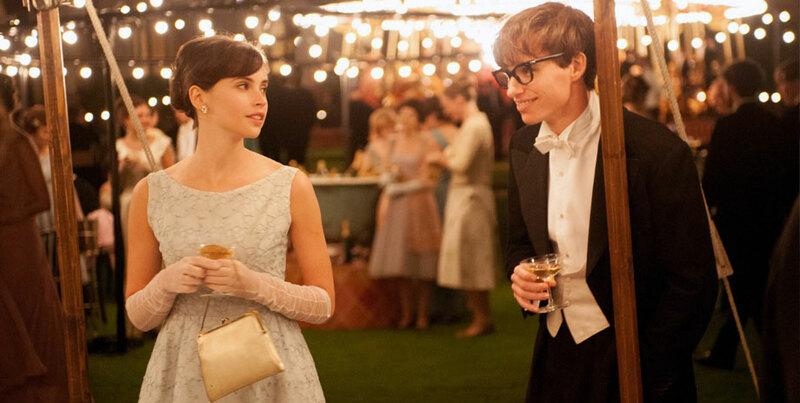 This being a romantic film, much of The Theory of Everything abandons dramatizing Hawking’s métier and concentrates on how he and Jane deal with his loss of mobility and speech. Eventually, he’s confined to a wheelchair and can only speak through a computerized mechanism. Meanwhile, there’s trouble on the home front. Jane finds it harder and harder to quell her own ambitions while raising their three children. Caregivers come in to help them and inevitably one of them, Jonathan Hellyer Jones, a volunteer and choirmaster falls in love with Jane. And, just as inevitably, a later professional caregiver, Elaine Mason, falls for Hawking. Yes, the love life of a theoretical physicist can be complicated. Perhaps not as complicated as theorizing about the nature of black holes—but, yes, complicated. The Theory of Everything, well directed by James Marsh, successfully evokes the life of a scholar in England while detailing his career and personal tale. The casting of the two leads is perfect. Eddie Redmayne and Felicity Jones play beautifully together, with just enough charm and determination and anger and warmth to keep the audience connected to a story that gradually unfolds over three decades. 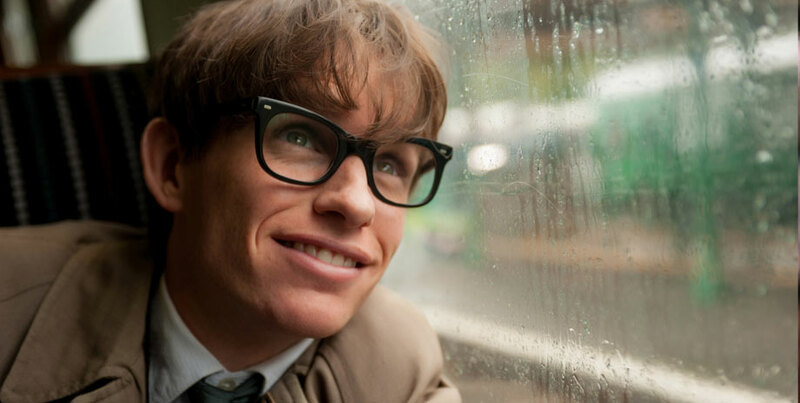 Ultimately, the success of the film lies as much with the grace and ability of the leads as it does with its skillful recounting of the Hawking’s story. Yes, it’s time to go out on a limb again.